Code of Princess EX is a unique action RPG adventure game from Nicalis, Inc. The story follows Princess Solange of DeLuxia as she fights to restore order in a world where monsters are trying to overtake the human race. 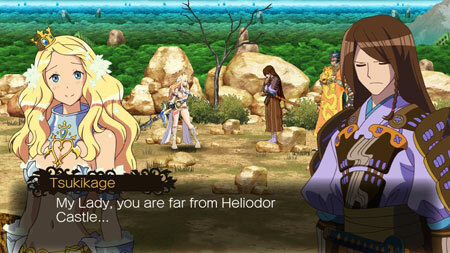 Armed with the legendary sword DeLuxcalibur, Solange assembles a team of talented fighters to join her quest. Together, they embark on an epic journey where they will confront the monster uprising and try to discover it’s secret origins. This entry was posted in Nintendo Games, Walkthrough and tagged Code of Princess EX Cheats, Code of Princess EX Ending, Code of Princess EX Final Boss Fight, Code of Princess EX Game, Code of Princess EX Gameplay, Code of Princess EX Guide, Code of Princess EX Hints, Code of Princess EX Review, Code of Princess EX Solutions, Code of Princess EX Strategy, Code of Princess EX Tips, Code of Princess EX Walkthrough by Marvin. Bookmark the permalink.